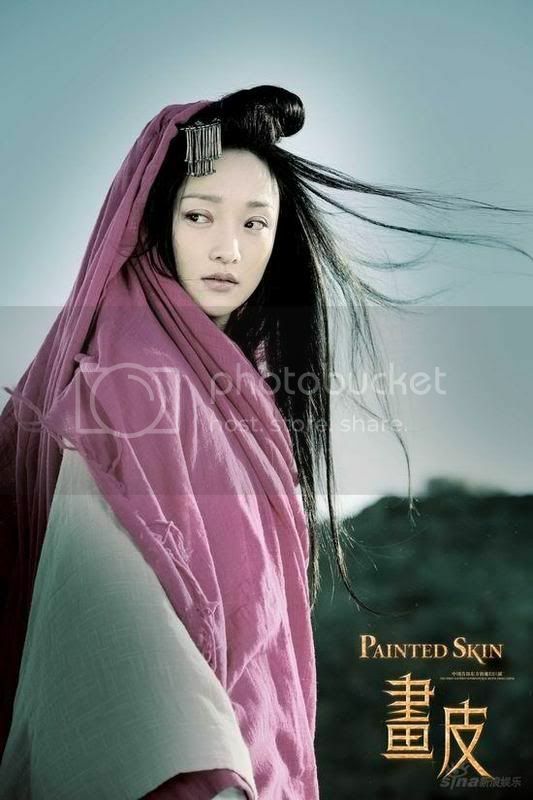 Painted Skin will be widely shown on September 26th in China. 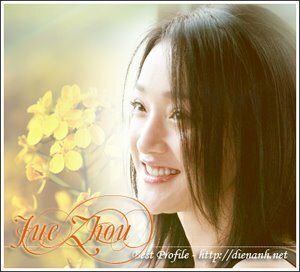 Below are some pictures of Jue (as Xiao Wei) in the movie. 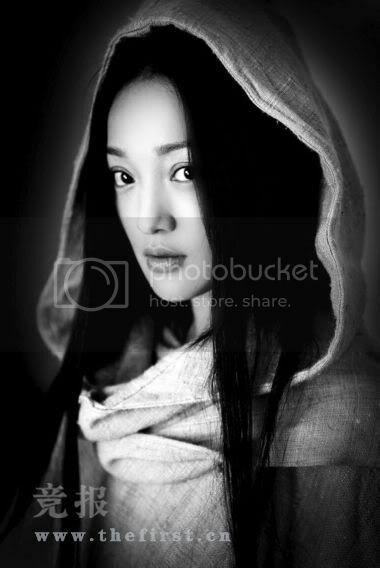 In the movie, Xiao Wei as a fox demon, but after taking off the skin, she becomes a beautiful woman. 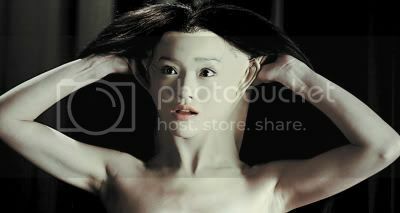 This is the skin which is very thin, especially for the scene of taking off the skin. Its raw material was purchased in America, then transported to China. The skin did not have hair, so it took the team several months to collect babies' hair that is so smooth.